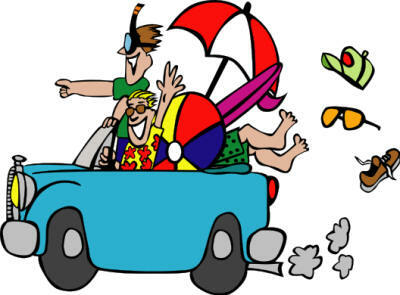 Home / Personal / Vacation or Foodcation? 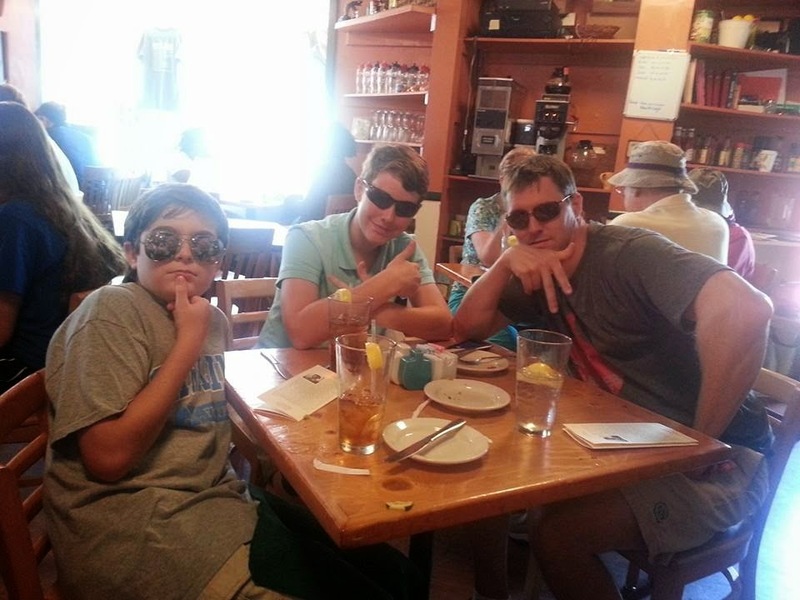 My crazy crew was off on a family vacation, minus my husband who had to stay home and work. It was a shame he could not make it as he was going to miss out on some crazy family fun. Before we officially were on vacation I had to drive two hours just to get to my hometown, where my parents and brother' family live. From there we embarked on a day long trek to Charleston, South Carolina. I feel like I need to explain myself or at least my super nerdiness. 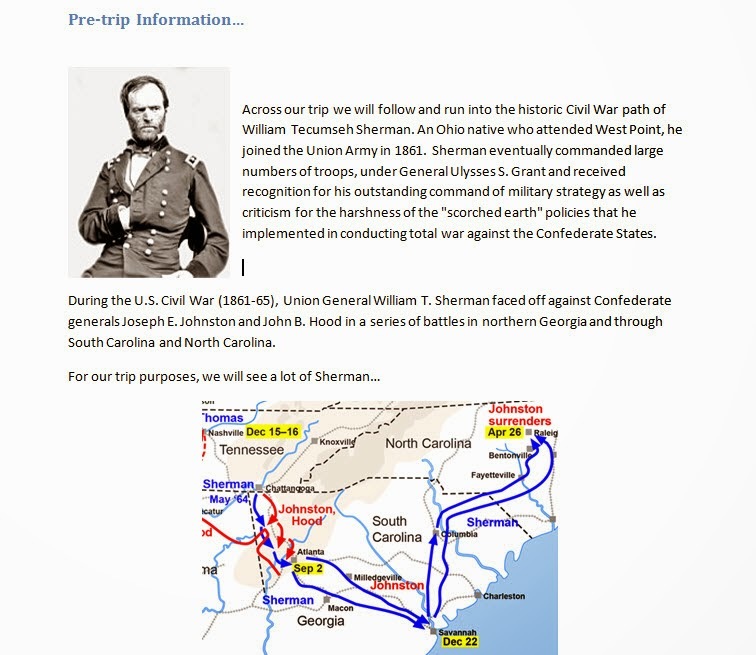 When my kids are going to travel to new places on routes we have not taken I make a collection of historical and fun facts about cities we drive through. I know. I know. Super nerdy. I mean we passed were they film the Walking Dead - cool!!! The trip took longer than expected, but we got there. My back still does not enjoy riding in the car and hours in the car was pretty tough. My mom drove the whole way, which I was extremely grateful for. I would not have been able to manage a road trip like this for a while. Car + Pain = Cranky Me! 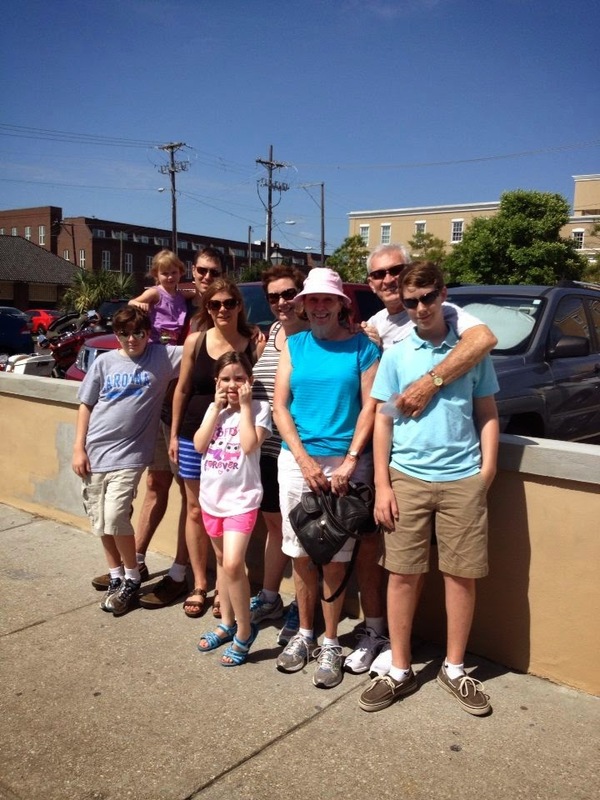 I come from a long line of doers, so vacation is about doing things rather than relaxing. 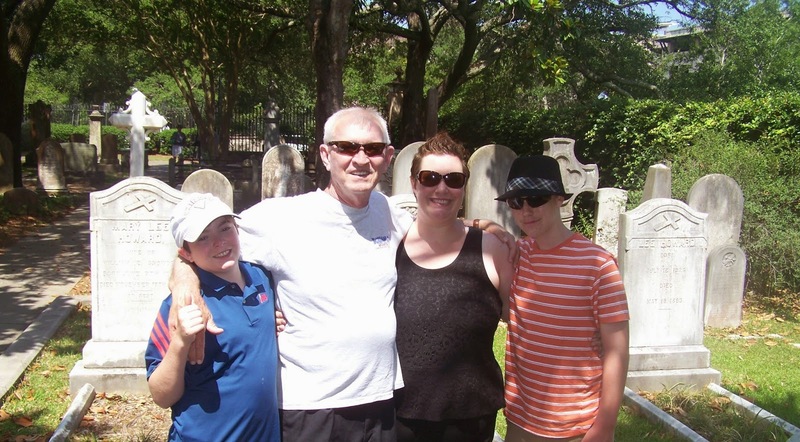 Our visit to Isle of Palms & Charleston, SC was essentially going to be about history, some beaching, and a lot of food. Who's willing to take this group on a carriage ride? On our first day in Charleston we opted to take a historical tour via horse drawn carriage. It was not only informative, but a good way to get a glimpse of the city while saving our feet from walking. Trust me as soon as we got off we were walking. We walked a lot during our week stay. We went to the Slave Mart, Old Exchange & Provost, Old Slave Mart Museum, King Street shopping, Rainbow Row, various parks and churches. The boys went out on a charter boat and caught sharks... seriously, sharks! We even drove out to Charles Towne Landing where an alligator was lounging openly in a lake only feet away. We were busy! Surprisingly the trip turned out to be about food. Charleston was full of amazing restaurants serving a variety of foods. We went to a number of good places to eat Jestine's, SNOB, Tommy Condons, and more. 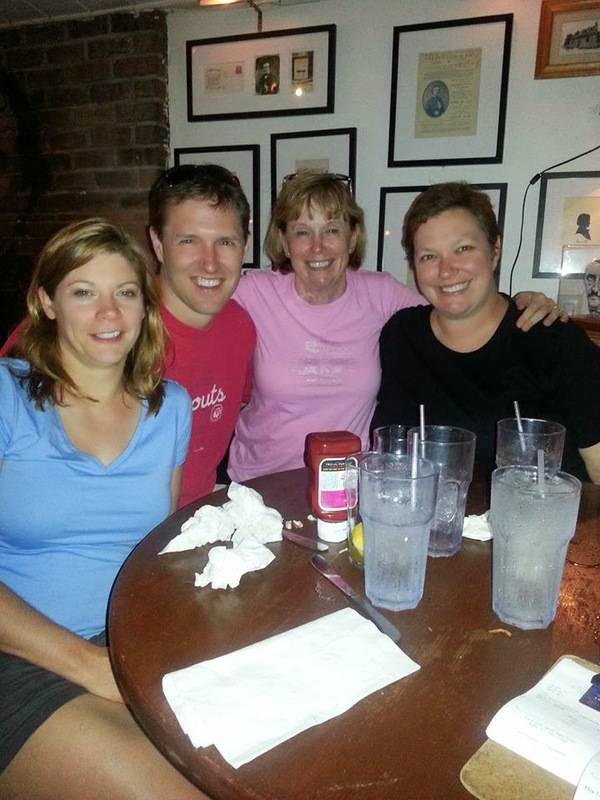 I must admit we loved the low country cooking at Jestine's so much that my mom and I went back for a second time. Pecan crusted chicken... yum! 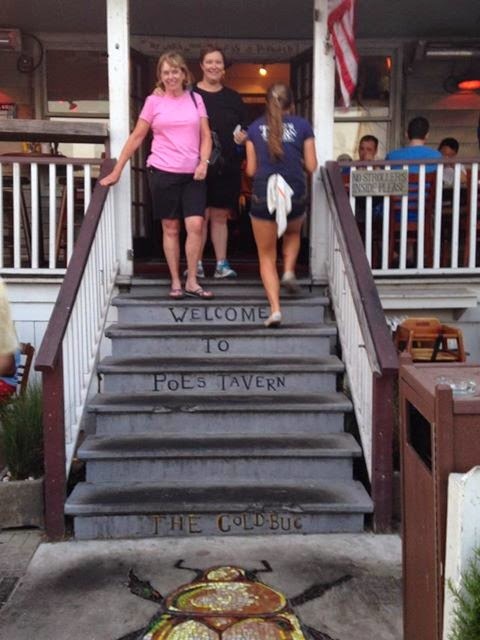 Another interesting food stop we made was on Sullivan Island... Poe's Tavern. Apparently, Edgar Allan Poe was stationed at Fort Moultrie on Sullivan’s Island for a little over a year in 1827. It was the inspiration for his story “The Gold Bug”. The restaurant, or should I say bar, was stocked with Poe memorabilia and the food was named after all things Poe. It was awesome!!! 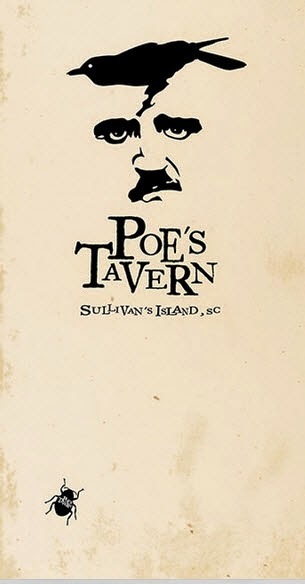 Poe's Tavern... were I enjoyed a Black Cat chicken sandwich! There was nothing like a family beach trip without a little beach. It was not our normal beach vacation where we spent hours at the beach each day. To be honest, it was windy and cooler than expected so the beach was less appealing then normal. While it was not as pretty as the gulf, it was packed with shells. The kids even found whole sand dollars, not the broken remnants that we normally find. For me, the bonus was that the beach was flat. Meaning I could walk on it. While it was further away then normal, it was a pretty walk to get there.Either way, I made my way to beach a number of times and so did my kids. 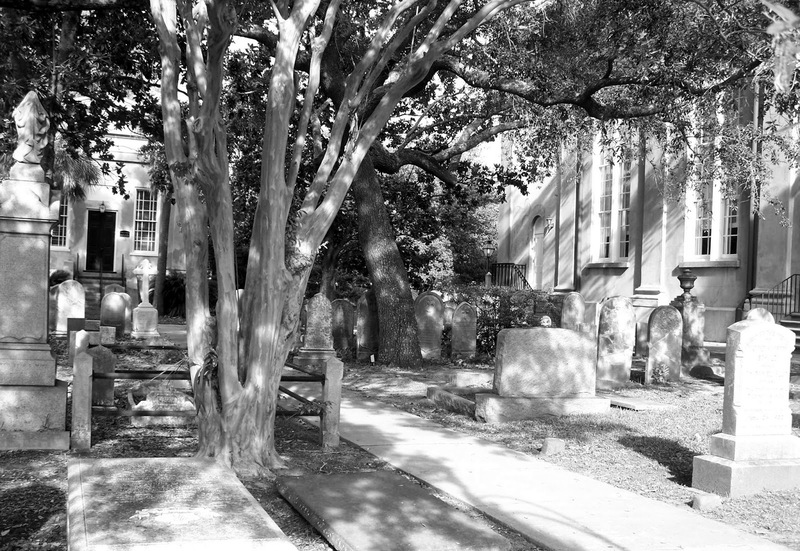 Charleston is full of history. It was also full of cemeteries. 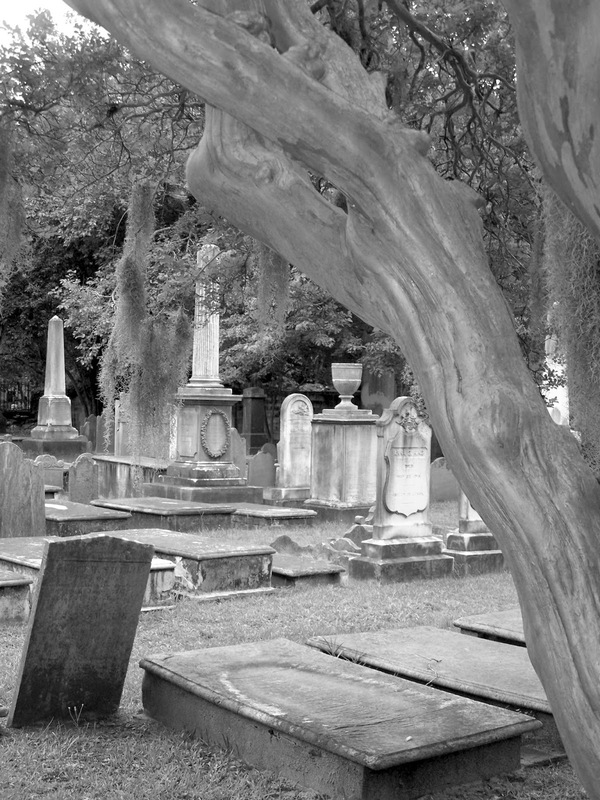 I enjoy taking black and white photography of unusual (meaning mostly older) cemeteries. 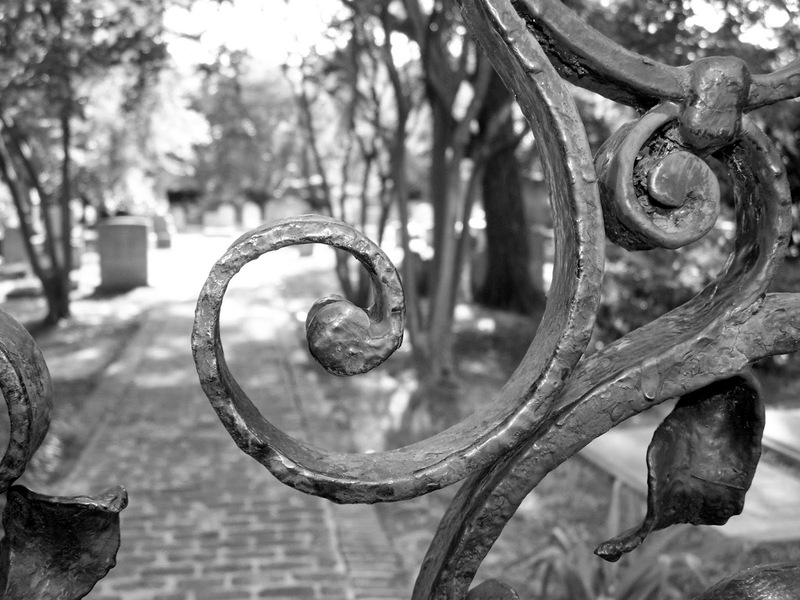 Back in college I wondered through the cemeteries of New Orleans with a passion. 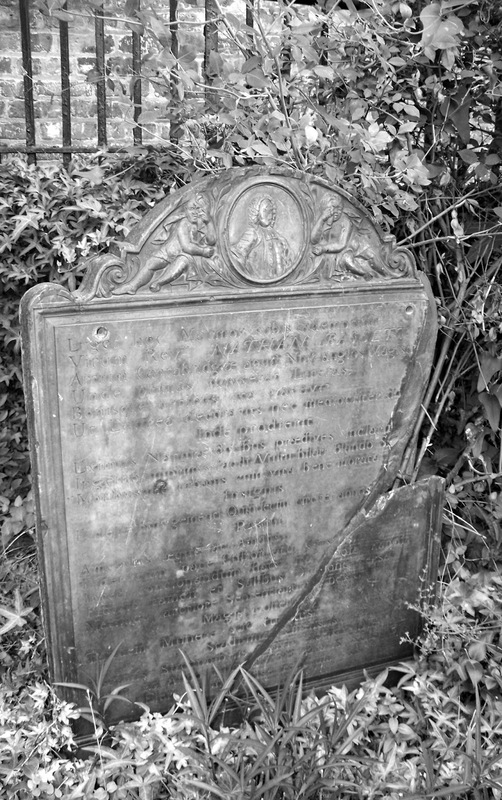 So, my interest in taking pictures of graveyards was not a new found weirdness associated with death or post cancer morbid fascination. 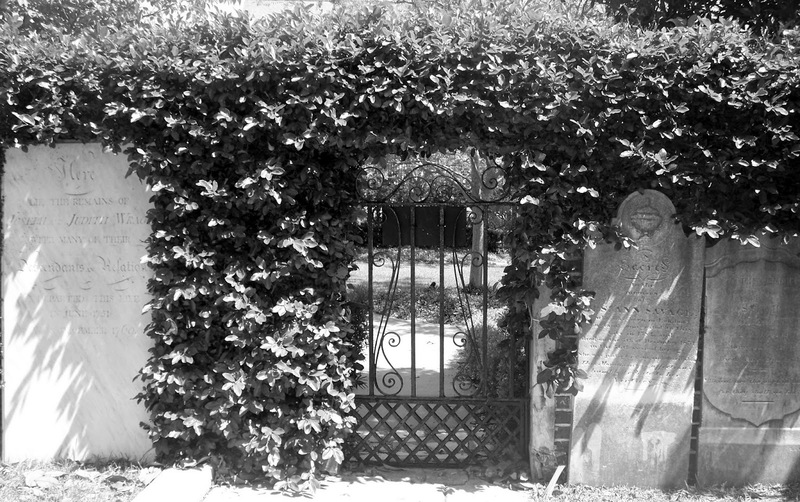 Honestly, I have always found cemeteries quite beautiful. Tourists... Charleston did not seem fond of them. It was not like some other places where the locals were friendly. They really weren't. There was no smiling at strangers on the street. There was no moving out of the way for small children as you walked by. I think the city tolerated us tourists and probably glad for the money spent by tourists, but not necessarily pleased that we were there. Not that it bothered me - cause I was there to have fun! It was a busy and fun-filled week. I did not have any specific expectations or plans for the trip, I just wanted to be with my family. So, I went as much as I could go... except on Wednesday when I passed out mid-afternoon and napped - I was exhausted! "The thing is, to have a life before we die. It can be a real adventure having a life."